Unwilling to settle for the passive life of a noblewoman, Elisabeth dons her late twin brother's armor and sets out for the Holy Land. On the journey, she learns many things, not the least of which is that she can pass for a young man because, as she says, "People see what they expect to see." Her lessons also include that honor is not always where you expect to find it, and that true love can come in the form of another woman. 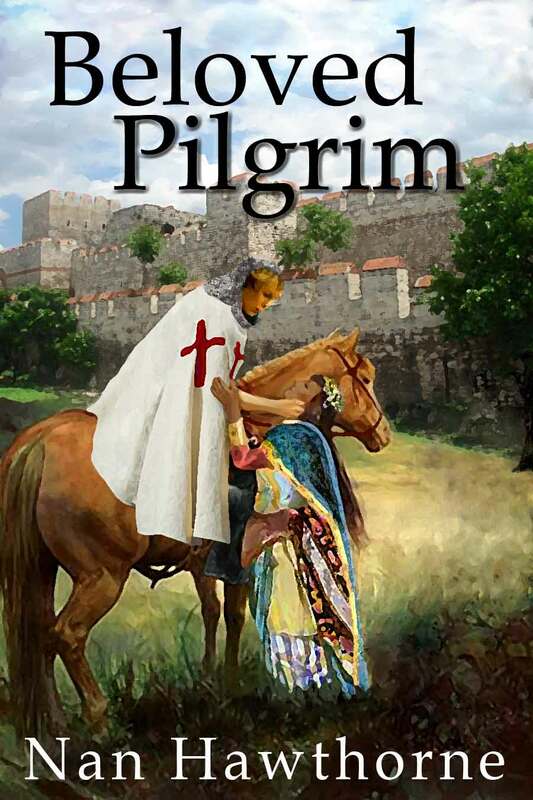 She encounters both heroism and betrayal in the doomed Crusade of 1101. Witness her journey across the Alps, her voyage to the golden city of Constantinople, and her struggle to survive with her ideals intact while she loses companions to hardships and destruction as Kilij Arslan's Turks turn the tide irrevocably for the Crusaders. Elisabeth, disguised as her own late twin brother, and his former squire have been ambushed by brigands on the road. As they returned to the road, she realized she still had her sword in her hand. She raised it to sheath it and saw the blood. Seeing her tremble, he snapped, "Here!" "Clean your sword," he said, realizing that he had successfully shocked her out of a fit. He watched her and knew he could chide her saying, "And you wanted to kill Paynim? Good thing you were never really serious." They camped, though they no longer had their tent or bedrolls, when they found themselves where a small pier jutted out into the flow of a huge river. "The Danube?" Elisabeth asked. "Yes," Albrecht said. "Almost there." "Albrecht, I have to tell you something," she began. He stopped trying to get comfortable on the ground and looked up expectantly. "My lord?" Hesitantly, she continued. "I want to keep going." He did not interrupt, so she went on. "I love this. I love the freedom, the adventure, and the independence, even the fighting. I don't want to be a woman any more. I want to be a man." Albrecht sat up and wrapped his arms around his bent knees, his eyes focused on Elisabeth. "I don't understand." She looked up and straight into his face. "I think you do understand." He considered, and then asked, "Are you saying you want to persist in the masquerade? To try to live your life as a man, a fake one?" She shrugged. "More than that. I want to stay a knight. I want to go to the Holy Land. I want to do what my brother was to do. 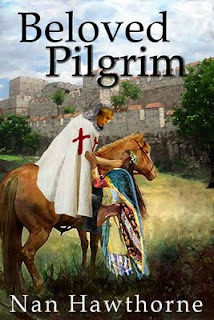 I want to fight Paynim and to make it to Jerusalem and the Church of the Holy Sepulcher." She looked down and plucked at the crusader's cloak she wore. "I want this to mean something, to be real." She glanced up, then firmed her jaw and said in a stern voice, "I don't just want that. I am going to do that." Her voice softened. "And I want you to go with me, to be my squire." Albrecht gazed at her for some time. He suddenly got to his feet and bowed to her where she sat on the ground. "My lord, I would be honored to continue to be your squire." Elisabeth jumped up and they locked arms. Her face was lit with anticipation, but at the same time with earnestness and anxiety. "Thank you, Albrecht," she said breathlessly. Then she added, "Deus lo volt. God wills it." Albrecht grinned. "I just hope He knows that."